In today’s fast paced world, it can be tough getting nutrient rich ready made meals that match athletic goals. Meal prepping is great, but if you don’t have a 5-hour time slot (at least) for shopping and cooking, then it can be a haphazard, tedious process. In come paleo meal delivery services and kits. These services are relatively new, and the whole delivery process can seem a little daunting at first. When you factor in the money spent on groceries and time cooking/prepping meals, then meal delivery services begin to make sense financially. There are a lot of meal kit delivery services and ready made meal services out there, but not all are created equal. We specifically looked at these services and how they could apply to the busy strength athlete and improve their life. A strength athlete will have different asks than a regular person. 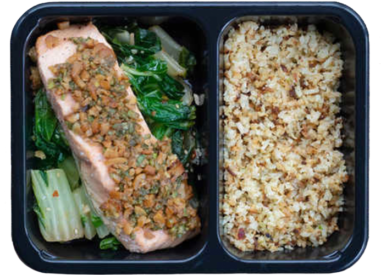 Below are a few basic reasons an athlete would choose to use a meal kit delivery service. At the end of the day, we’re busy athletes just like our readers. 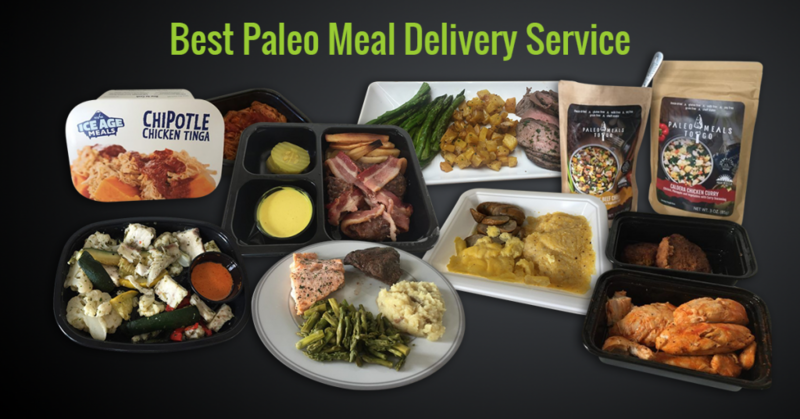 So we put the best paleo, natural, and health conscious ready made meal delivery services through a plethora of tests, and compiled our favorites across multiple categories below. A straightforward delivery service with an impressive variety of meals and a great bulk delivery option. Organic and creative, Sun Basket has a rotating menu to help prevent the familiar "meal boredom" from which dieters can suffer. Read on for even more categories! 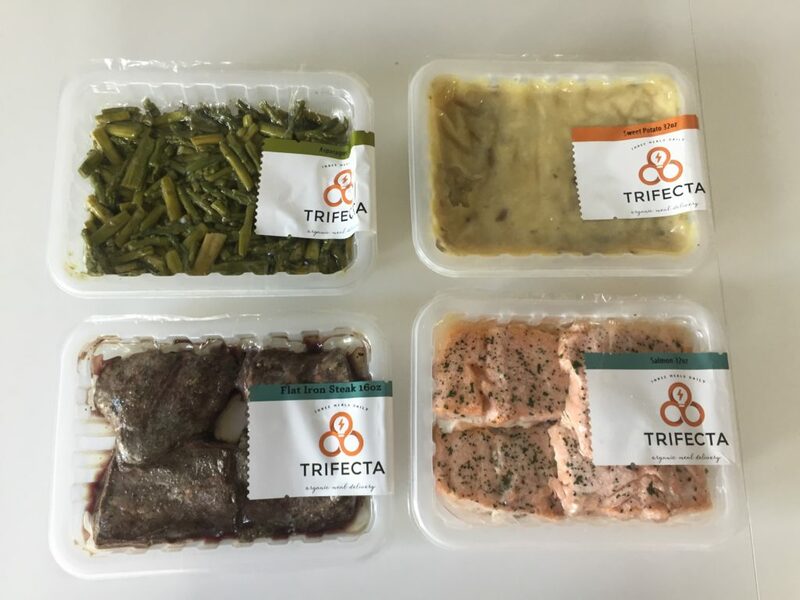 Why Ready Made Meal Delivery Services & Kits? Possibly the biggest reason for enlisting one of these services for a strength athlete is the amount of time they save. An athlete with a busy schedule can earn back multiple hours during the week by having a service deliver meals that fit their dietary needs. With more weekly hours, an athlete can invest more time in their training, rest, work, and hobbies. Another reason athletes may enlist these services is for the nutritional aspects. An athlete needs ample nutrients, individualized macronutrient targets, and daily caloric goals to constantly improve their performance. For this reason, natural, organic, paleo, and health conscious meal kit services come in handy. When you’re eating whole, natural foods frequently, then you’ll be achieving micronutrients goals that you may miss out on cooking on your own. Most services offer meals with consistent calories too, so an athlete in need of a daily caloric allotment can consistently hit it with ease. In addition to consistent calories, many services offer full macronutrient meal and ingredient breakdown, so athletes can select meals on their own that fit their bill, or let the service do so for them. Similar to time, these services are convenient. Most run on a subscription based service, so it takes the thought out of ordering meals on a regular basis. This means less time spent thinking about what to eat and what to grab at the grocery store. Also, some services offer you the ability to do weekly, every other week, and additional options, which takes the guesswork out of getting in healthy meals for the busy athlete. There were three defining factors that make Trifecta our number one choice for athletes. First, they offer meal plans with multiple focuses, and they can be catered to an athlete’s needs. Second, their meals tasted great with easy to read nutrition labels, which is a big positive for on-the-go athletes. Third and lastly, we liked that their service offers bulk a la cart items. This gives athletes the option to build their own meal, or enroll in a meal plan. Learn more in our full Trifecta Nutrition review. The Good Kitchen’s meals come in smaller sealed packages, so they’re easy to transport around. Also, the containers are consistently sized, there will never be surprises in sizing. Second, the amount of meals dictate the price, which means you can order more for less per meal. This is a good option for someone with a true on-the-go lifestyle. Lastly, their nutrition information is easily readable, on-the-go individuals won’t time to waste guessing how much they’re consuming. Sun Basket provides a different take on meals compared to other services on our list. As opposed to delivering pre-cooked meals, they provide you with the ingredients to construct your own meals. All of their ingredients are locally sourced and organic, so you can be ensured that they’re going to be full of nutrients, along with never being previously frozen. We like that you can pick from their wide variety of meal options, then prep the meals per their directions and even add specific tweaks catered towards your health needs. What’s sets Trifecta apart is their full vegetarian meal plan — and vegan options. They also provide full ingredient and nutrition information, so vegetarians will never have to worry about what they’re consuming. We also like that you can select as many meals as you’d like on a weekly basis, which makes this service great for those who want a ton of meals, or only a few. Still Looking for the Best Meal Delivery Service for You? We understand not all athletes and exercisers will find services that perfectly fit their needs from our picks above. So we’ve gone into even more detail for our favorites in some other common and popular categories below, like for ketogenic options and weight loss. Factor 75 is our top ketogenic meal kit delivery pick. A good ketogenic meal will have clearly defined keto geared macronutrients and ingredients listed. What earned Factor 75 the top spot on our ketogenic list is their clearly defined ketogenic options. When you order from Factor 75 and view their list of meals, then you’ll see a clearly defined keto stamp on the upper left side of a meal that fits ketogenic needs. This is key for easily finding meals that fit the keto bill, and providing an athlete with nutrition information before selecting them for your cart. Not to mention, their meals all taste great. 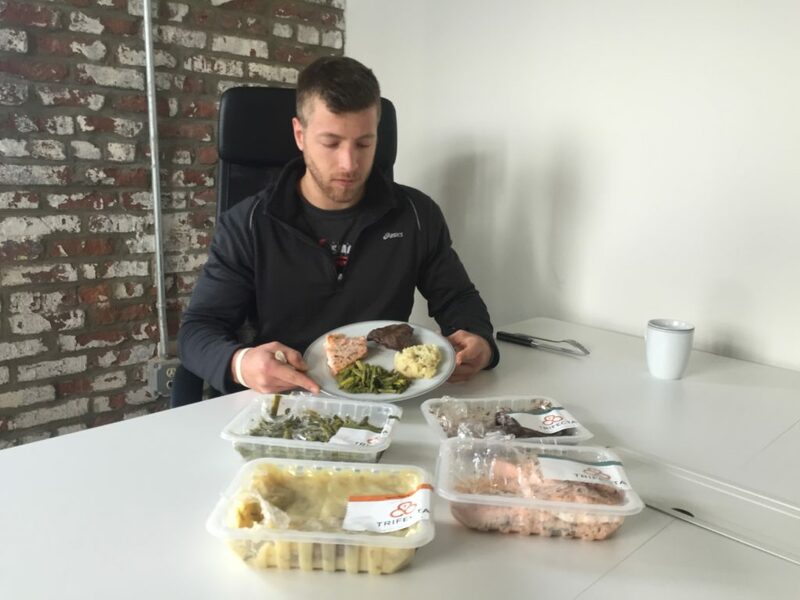 CavemanChefs earns our second pick for ketogenic meal kit delivery service. If you visit CavemanChefs’ site you’ll select your meal plan, which can range from medium, large, to extra large (all varying in calories), then select your specific dietary needs. Of those options, you can select ketogenic, and your selected meal plan will be catered for the ketogenic diet. We like how they can make you multiple sized ketogenic meal options with the caloric amount you desire. Our final ketogenic pick is Trifecta. Their service doesn’t necessarily offer ketogenic specific meals, but they have a plethora of a la cart items that fit the keto ask. 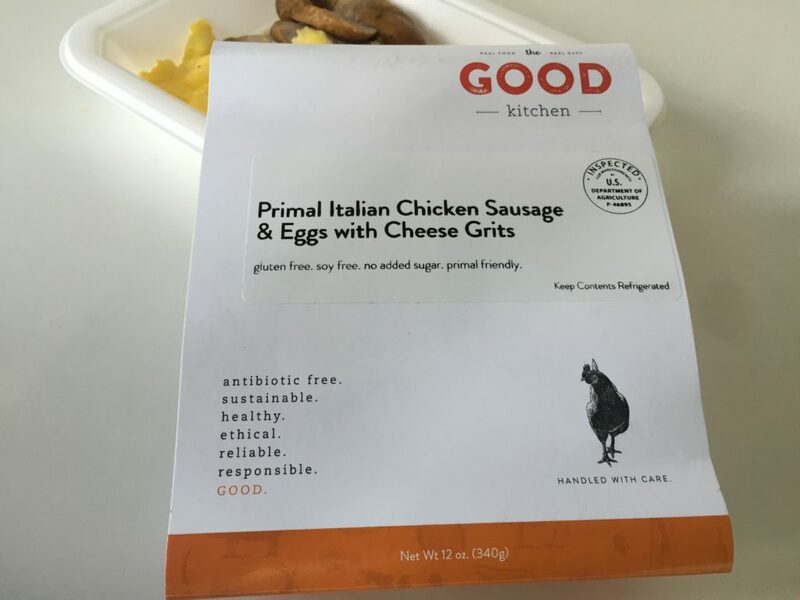 For example, they offer a variety of protein and vegetable options in bulk, so the ketogenic dieter could make multiple meals when shopping Trifecta’s individual food items. We also like that they list ingredients and nutrition before ordering, so the ketogenic dieter will know exactly what they’re getting. 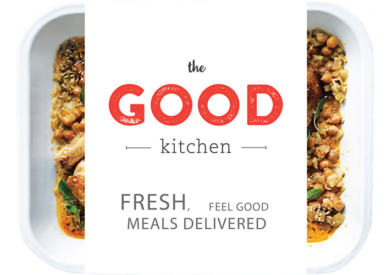 The Good Kitchen earns our number one pick for a weight loss focused meal delivery service. Weight loss will be completely dependent on one’s goals, but we thought their service hit a few key asks a dieter looks for. 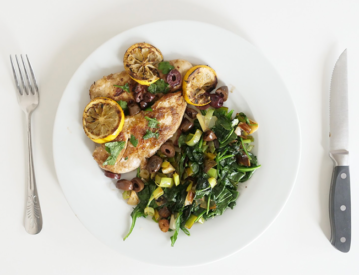 A standout feature we liked about The Good Kitchen’s meals were the caloric totals. Of the services we reviewed, we found that The Good Kitchen’s caloric totals, which varied between 250-410, were on the lower end of the spectrum. 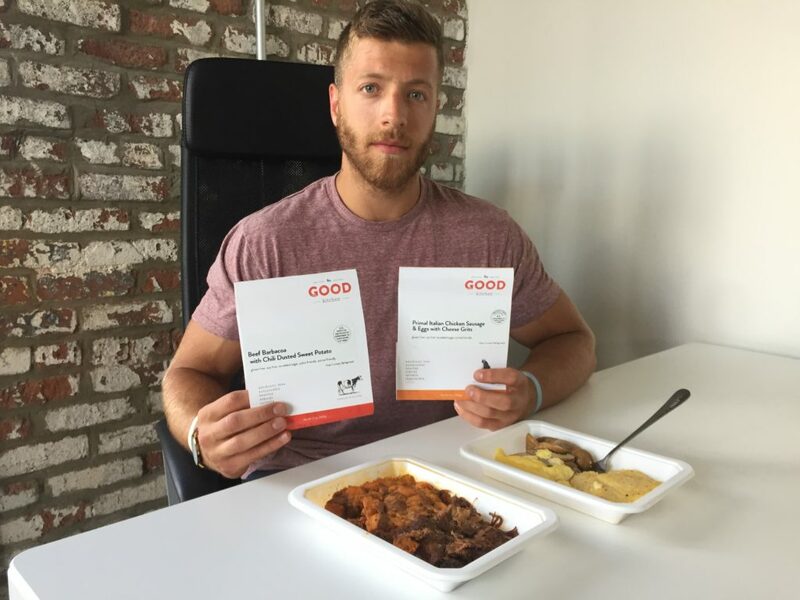 For anyone in a caloric deficit, we feel that The Good Kitchen’s low calorie, organic focused meals are a good option for hitting caloric goals and obtaining quality nutrients. CavemanChefs earns our second pick for the weight loss focused individual. We like that their service comes with multiple meal sizes with respective caloric allotments. This makes it easy for someone who needs a consistently calorie focused meal when eating in a deficit. Additionally, we liked their easy to read nutrition information and full ingredient listing on each package. Our final pick for weight loss is Kettle Bell Kitchen. We like that Kettle Bell Kitchen gives you a “fat loss” option when designing your meal plan. When you select this option, their service then creates a meal plan that’s catered to the individual worried about meal composition, calories, and macronutrient breakdown. Trifecta Nutrition earns our number one spot for fitness meal prep. We think their meal selection and a la cart options make it easy for anyone tracking specific calories and macronutrients. We like how Trifecta works with Renaissance Periodization to formulate their meals and nutrition. Renaissance Periodization has built a strong reputation with the strength athlete population when designing optimal calorie and macronutrient ratios. 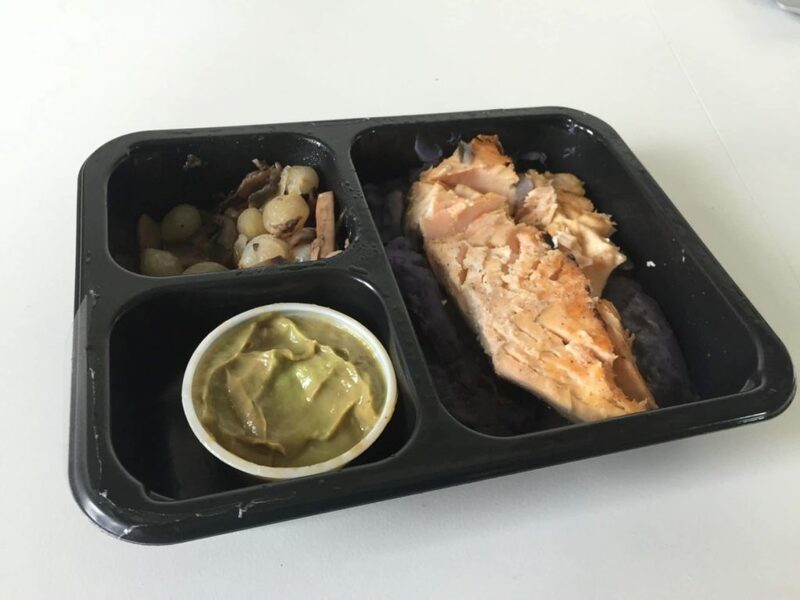 Athletes that want to prep meals on their own will have a wide variety of a la cart options, but also the ability to pick from a number of themed meal plans. Kettlebell Kitchen earns our second pick for a fitness meal prep service. We like that their menu rotates somewhat frequently, but has some consistency to it. You can choose to build your own meals plans with breakfast, lunch, and dinner, or let their nutritionists decide what’s best for your goals. All of their foods have full ingredient listings, along with nutrition, so the diet focused athlete can prep with ease. We also like Factor 75 for fitness meal prep. While they don’t offer a la cart and individual items, they do offer meals with multiple dietary characteristics. For the athlete with specific meal prep needs such as non-GMO, ketogenic, and paleo, then they’ll have a variety of meals to choose from with Factor 75. Meal kit delivery services are gaining popularity as our weekly time allotment for food prep continues to become more limited. For strength athletes who find themselves frequently on-the-go, enlisting one of these services can be helpful for earning back more hours in the week while staying on-track nutritionally. 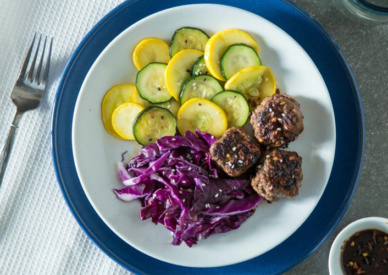 Paleo and health conscious services like these can help push an athlete’s performance while providing them with nutritionally dense meals and food options. I was never a fan of these types of services – until I tried one. If you have a particular goal over a particular period, they save time and effort and really make it easy to eat set amounts of nutritious food. The rotation of the menu is great for Kettlebell Kitchen. You like it because of the menu rotation, ability to choose or have a nutritionist choose meals, and nutrition facts and ingredients are listed.